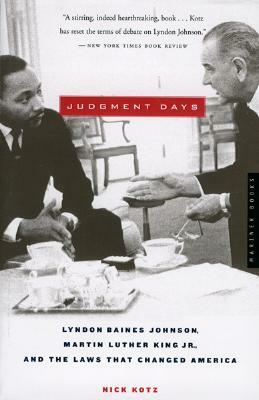 The Pulitzer Prize–winning journalist Nick Kotz offers the first thorough account of the complex working relationship between Lyndon Baines Johnson and Martin Luther King Jr. Tracing both leaders’ paths, from Johnson’s ascension to the presidency in 1963 to King’s assassination in 1968, Kotz describes how they formed a wary alliance that would become instrumental in producing some of the most substantial civil rights legislation in American history: the Civil Rights Act of 1964 and the Voting Rights Act of 1965. Drawing on a wealth of newly available sources—Johnson’s taped telephone conversations, voluminous FBI wiretap logs, and secret communications between FBI director J. Edgar Hoover and the president—Kotz examines the forces that drew the charismatic men together and those that eventually drove them apart. Kotz’s focused and incisive examination significantly enriches our understanding of both men. This book will appeal to people interested in: Lyndon B. Johnson, Martin Luther King, Civil Rights, Race Relations, Voting Rights, 20th Century History, Politics, Political Investigations, Segragation, and American History.